A new event could be near us. A new Fortnite: Battle Royale leak seems to hint at an underground event coming to the game soon. 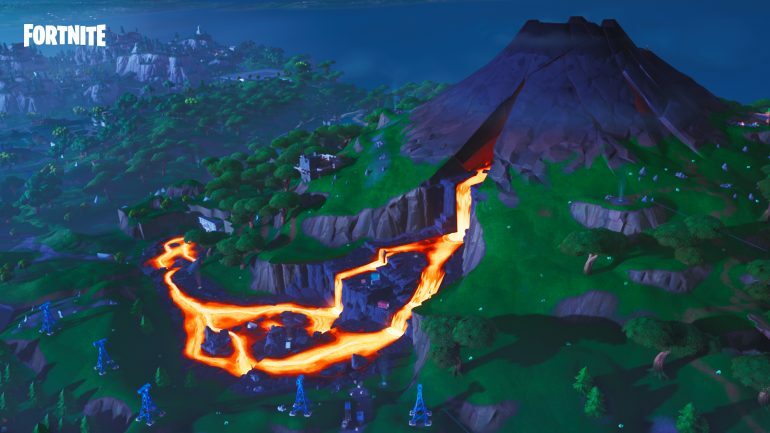 Data miner Lucas7yoshi has revealed a file within the “event” folder of the Fortnite game files that mentions “Underground” in its strings. There’s some text about “ElementalAfflictionTags” with it—and Dormant, Fire, Steam, Water, Life, and Earth are the six afflictions associated with that code. The data miner wrote he has no idea what these terms mean, however. The only reference to underground we have in Fortnite in season eight so far are the digging sites. Players have already dug up sites in Paradise Palms, Dusty Divot, and near Loot Lake. Apparently, there’s a fourth one coming right in the middle of Look Lake, where the mysterious purple cube Kevin exploded in season six. That area is huge and, if uncovered, can make for a great underground passage or cave for players to explore. The references to afflictions sound odd for Fortnite. The game lacks formal status effects or afflictions for players, despite players having the ability to poison opponents with the Poison Darts Trap, freeze their feet in the frozen lake in the snow biome, and slow them down when they walk in rivers and lakes. The references to developer comments made in the game files to these afflictions mention “object,” which could be a general term for anything that has a hitbox in the game—from players to rocks and trees, or any other environmental object. If it’s the latter, that might mean this underground event will affect objects with those six afflictions to some extent. But so far, all we can do is guess. As the leak and the game events start to converge in the following days and weeks, players might have a better idea about what all this means.